SCVHistory.com CH1020 | Pico Canyon | CSO Hill. An 1883 view of CSO Hill. The image shown is a scan of a copy print made from a negative shot in 1963 from an original print which, as of 2008, was still in a private A.B. 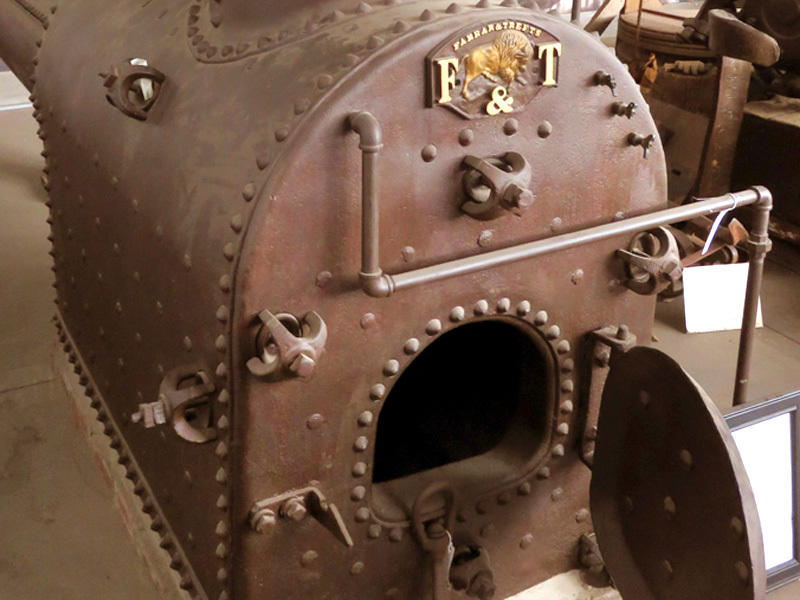 Perkins collection. That was probably the time at which the original print came into the possession of Barry Ruderman, a map dealer in La Jolla, Calif. Digital copies of Ruderman's collections form the (digital) Barry Lawrence Ruderman Collection in the Stanford University Libraries. Another version of the same image was donated in the 1990s by Standard/Chevron to the Santa Monica Mountains Conservancy; it is unkown whether that version was another original print, or a copy print made from the aforementioned original print. The California Star Oil Company (CSO) was formed July 8, 1876, by San Francisco financier Demetrius G. Scofield for the purpose of harvesting newly-discovered oil in Pico Canyon, at the western edge of the Santa Clarita Valley. Within months, Pico Canyon was a river of oil, thanks to the success of Scofield's chief driller, Charles Alexander Mentry, who punched the first commercially successful oil well in the western United States in the Pico field. This photo shows the "CSO Hill" as it looked in 1883. The derrick at lower left marks CSO No. 5. The long bridge at right was destroyed in a major earthquake that was centered in Pico Canyon in 1893. 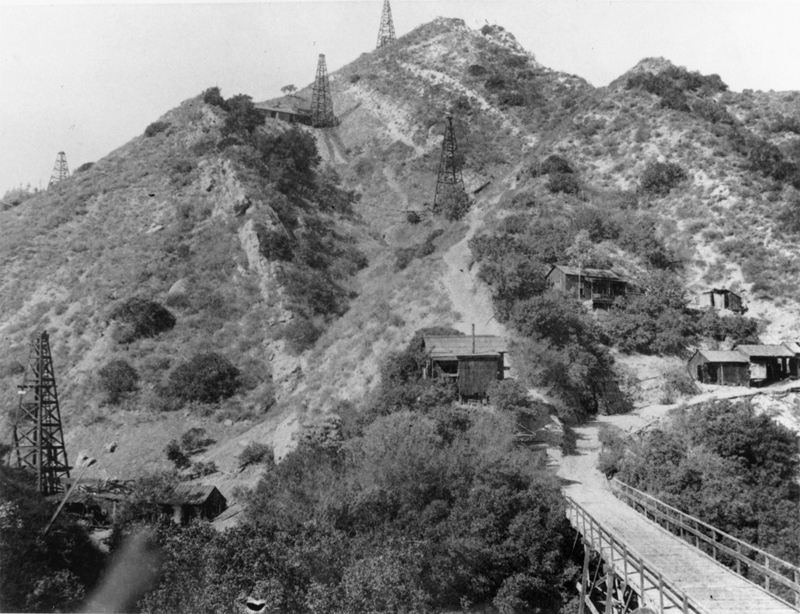 The hill on the opposite side of the canyon (unseen in this photograph) was the "PCO Hill," named for the Pacific Coast Oil Company, which succeeded California Star on Sept. 10, 1879, when Scofield reorganized his holdings. In 1900, Scofield merged his interests with those of John D. Rockefeller's Standard Oil Company of New Jersey, which liquidated Pacific Coast Oil. 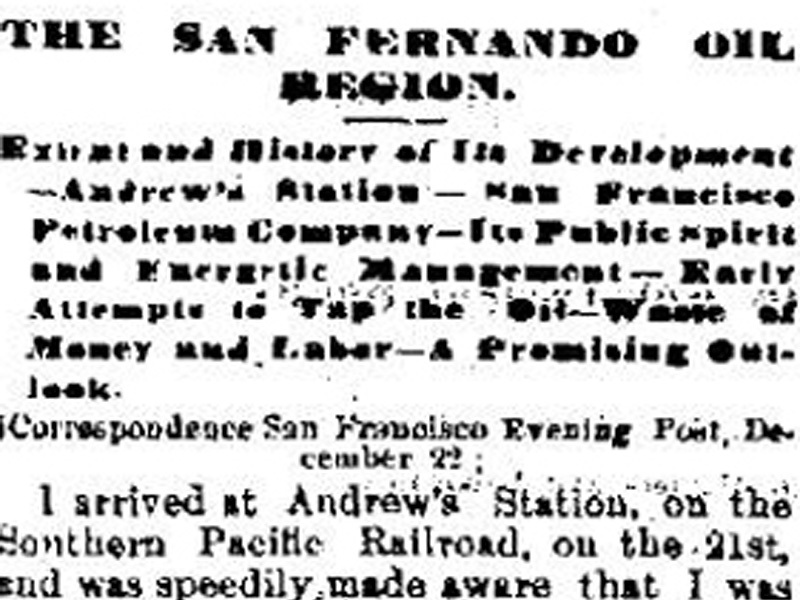 On October 4, 1906, Standard's California holdings were reorganized into the Standard Oil Company of California, with Demetrius Scofield as its first president. In January 1977, Standard Oil of California reorganized again as Chevron USA. A very old view of the CSO hill, showing cabins tucked in around the derricks. It so happens that today you can located these sites only by the ledges in place. The shacks are gone. The derricks have largely succumbed to time and weathering. Nothing remains of the bridge. The creek bed, under it, went on a rampage and changed positions decades back. The derrick in the middle of the picture, probably was on the "Star" well. At century's turn, this was a most active section. The picture was possible taken in the last half of the 1880s. Mr. Goldberg* thinks the lower derrick may have been Well #32. The location was then marked by the bridge by the bluff. The bridge went many years ago, and the bluff was cut away for today's road. Anyhow the scene was there  once. *Webmaster's note: Howard Goldberg came to work in the Pico oil fields in 1903 and lived in the bunk house. According to historian Stan Walker (2014), DOGGR records show that CSO No. 32 was completed in 1905, so it can't be No. 32. It's No. 5.